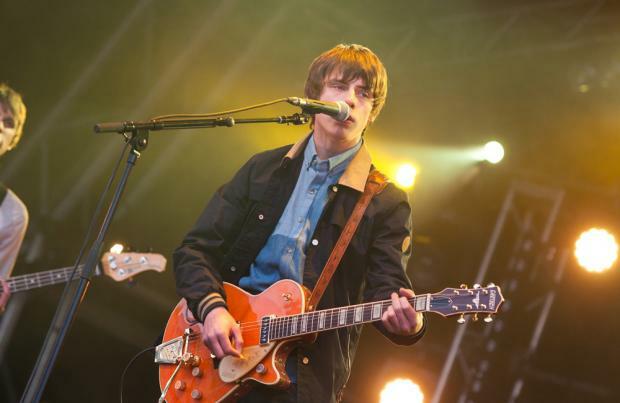 Jake Bugg wants to move to America. The 'Lightning Bolt' singer is keen to crack the US, but worries about the practicalities of making the move and for now is keen to visit little and often to help his career Stateside. He said: "It's just a different beat. It's a big country and to get anywhere you've got to take time out and spend a lot of time there. I think just keep going over there and nipping over there and see how they react. "I have a lot of influence from there. I'd like to live in America at some point. "I think the health insurance is quite a lot though." The 20-year-old singer is incredibly busy with gigs at the moment, but when he has time off, he enjoys doing practical tasks like laundry. He told Absolute Radio: "I do need to get some laundry done to be honest. Well I've had a couple of days off, so when you've got a few days off and you're in the same hotel you just let your suitcase breathes a little bit. "Everyone likes a fresh pair of socks though, don't they? It's nice to have a clean pair, if they're new or not, it doesn't matter - they've got to be clean." Jake is now looking ahead to some more festival performances this summer and has mixed feelings about performing so high on the bills. He said: "More festivals. There's Reading and Leeds. I've got T in the Park. I'm pretty high up on the bills this year, so I'm really looking forward to it, but also slight apprehensive because you just don't know what's going to happen, then touring until the end of the year." The full interview with Jake is available at www.absoluteradio.co.uk. Singer-songwriter peddling a folky country indie sound.